Canada’s Wonderland completes construction of new record-breaking roller coaster (PHOTOS) - Canada Eh? 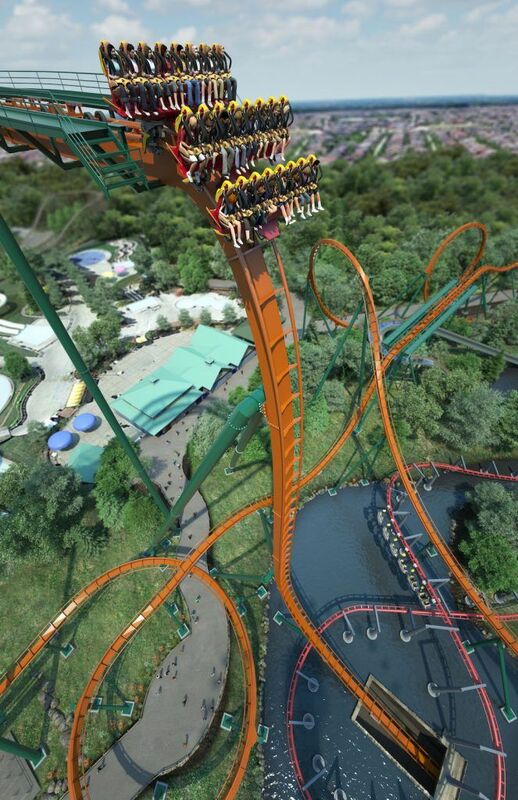 Things are getting higher and faster at Canada’s Wonderland. The giant Ontario theme park completed the construction of its latest ride, set to open this May. The park’s skyline will be changing with the new Yukon Striker, known as the longest, fastest, and tallest dive roller coaster in the world. 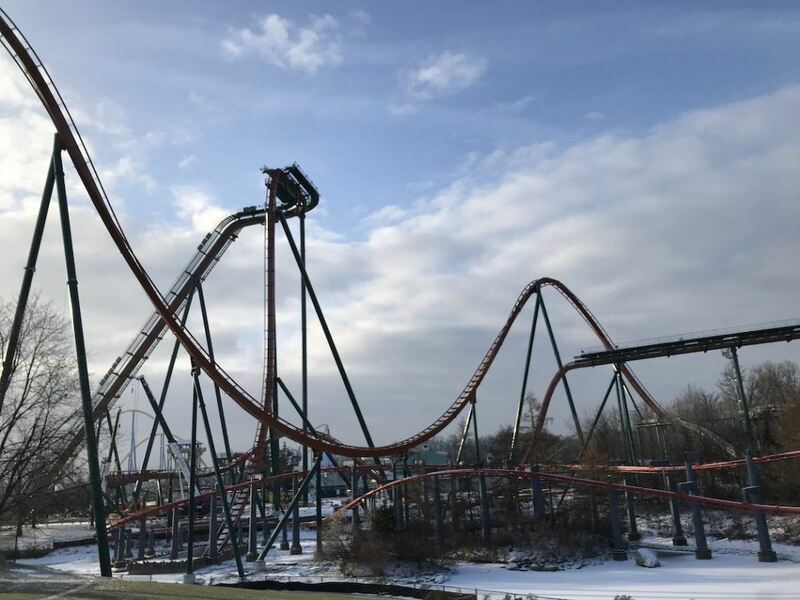 According to Canada’s Wonderland, the new Yukon Striker will be situated in the newly themed area Frontier Canada, and will be the country’s first dive coaster and the park’s 17th coaster, placing Canada’s Wonderland among the world’s top three amusement parks with the most roller coasters. The construction project began in January 2018 with the excavation of Yukon Striker’s underwater tunnel and finished with the last piece of track just installed on the highly anticipated 360-degree loop, according to Canada’s Wonderland. Yukon Striker will dive 90 degrees, 75 metres down, soaring past neighbouring coaster Vortex and hitting a top speed of 130 km/h through the tunnel. The coaster spans just over 1,100 metres in length and consists of 107 track sections which weigh a total of 1,213 metric tonnes. It requires 42 support columns and will feature floorless trains with stadium-style seating in three rows of eight. The trains will soon be installed while the loading station and landscaping are completed. After that, the park will begin a thorough ride testing process, which includes running each train through hundreds of cycles around the track; and the park says that the initial passengers are water dummies that simulate rider weight.